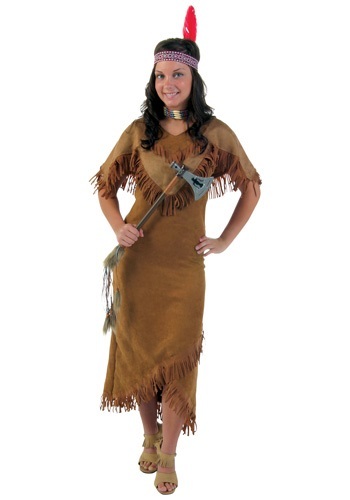 This plus sized women's Indian costume is a classic look for Halloween! 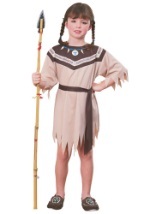 Embrace the Native American culture in this costume that includes a brown, polyester dress that has the feel and look of suede. 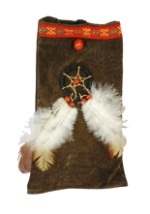 It has thick shoulder straps and fringe runs along the bottom. 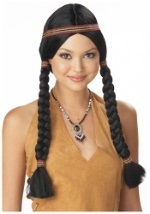 Fringe and beads also lines the included shawl that slips on over the head. 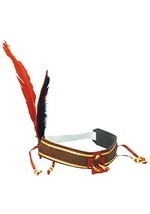 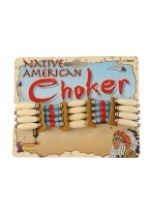 The headband features a traditional red, black and white Native American style pattern and an attached feather. 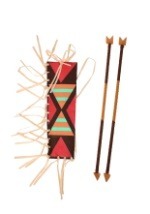 It is secured in place with elastic. Team up with any of our male Indian costumes for a great couples look!